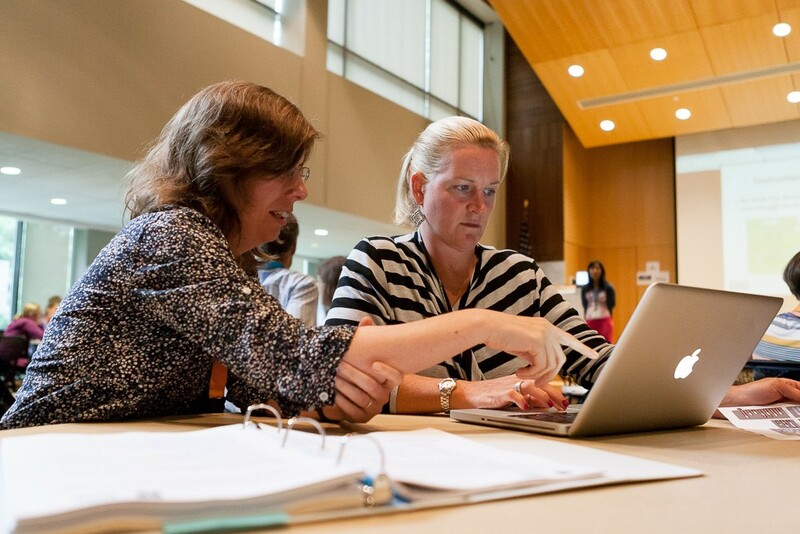 It’s summertime, and Ana Hurley and Mary Memmott, both science teachers at Dover-Sherborn Middle School in Massachusetts, are huddled together around a laptop in a dark auditorium. Using a tool called StarLogo Nova, they have just finished creating a program that models the spread of an infection. Now, they are watching a colony of 200 blue “healthy” dots slowly turn red as they bump into their infected neighbors. 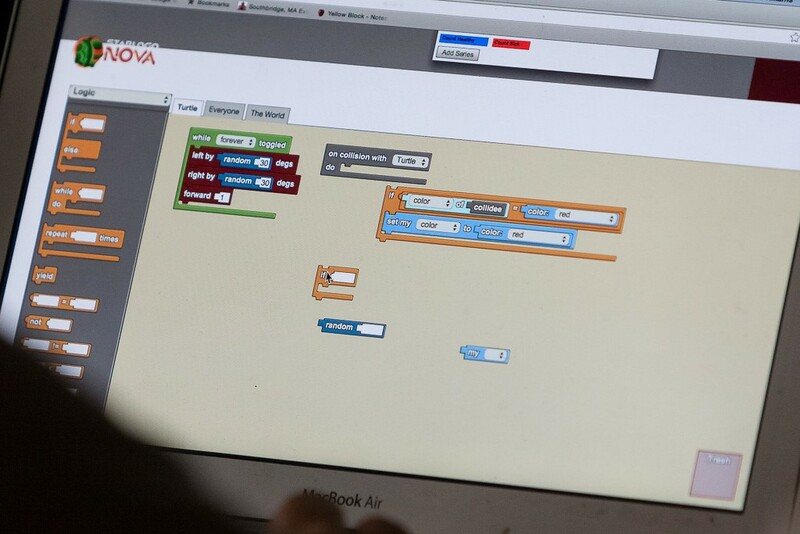 Both teachers believe that this type of computer modeling will help their students grasp difficult-to-understand scientific ideas, such as heredity and the spread of disease. But neither considers herself a programmer. 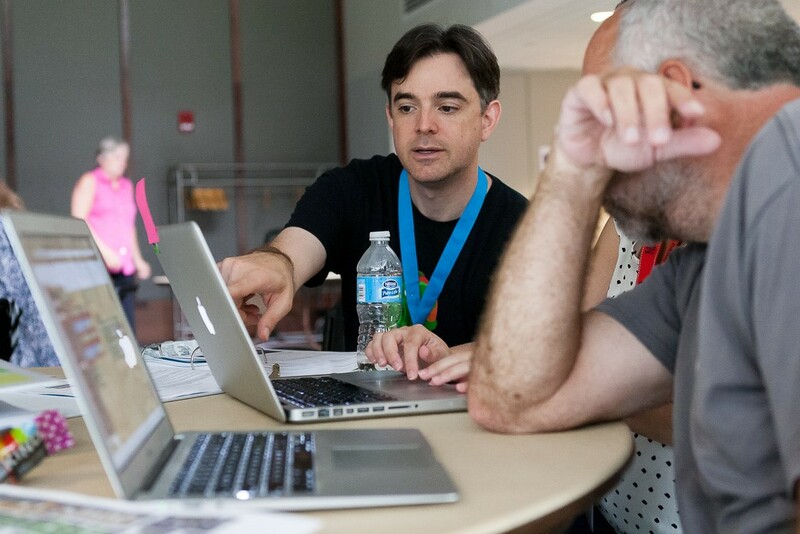 That’s why the chance to participate in this workshop at Framingham State University is so important to Memmott, Hurley, and 17 other middle and high school teachers from around the state. For three days, the teachers learned how to use StarLogo Nova to to support their classroom science instruction. They built simulations, discussed graphs, and explored some of the advanced functionality of the program under the direction of facilitators from Project GUTS (Growing Up Thinking Scientifically), a nationwide program that promotes science, technology, engineering, and math in middle school. Nineteen teachers from across Massachusetts participated in a Project GUTS workshop sponsored by EDC’s Massachusetts Computer Attainment Network (MassCAN). MassCAN’s goal is to expand computer science opportunities for Massachusetts students. Needham teachers Erica Murdoch and Nicole Piatelli plan to integrate elements of computer science into their middle school classrooms this fall. During the workshop, teachers used StarLogo Nova to build programs that modeled the spread of an infection. Ashland teacher Chad McGowan facilitated the Project GUTS workshop. "The model can help [students] think through the questions," he says. "There’s a whole population of students who have prior knowledge about coding, so all of a sudden those kids can be leaders in class," says Ana Hurley (right), of Dover-Sherborn. "You’re going to tap into a whole group of kids we haven’t been able to reach." 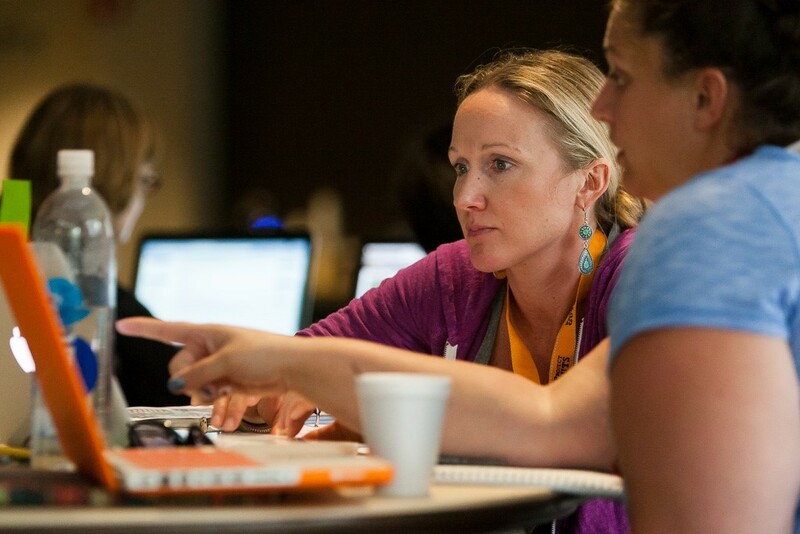 The workshop was part science, part computer programming, and wholly innovative. Coordinated by the Massachusetts Computer Attainment Network (MassCAN) initiative, which is housed at and supported by EDC, it was funded by Verizon and the NSF-funded Exploring Computing Education Pathways program at the University of Massachusetts, Amherst. It was also the fourth Project GUTS workshop sponsored by MassCAN to date. “I’ve always had kids who have wanted to do computer-based projects, but I’ve never had much to give them,” says Memmott. She is already planning on applying her new computer programming skills to a module she teaches on climate change. 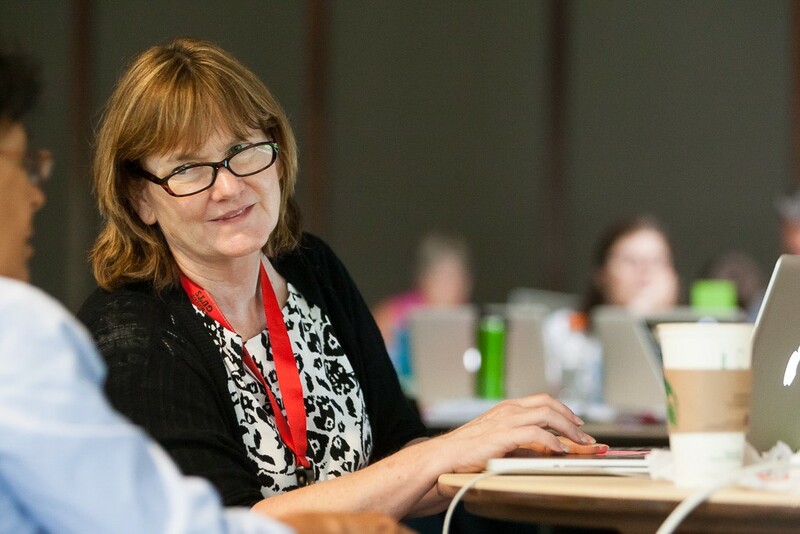 Hurley believes that bridging science and computer science has the potential to engage many of her students who are more keen on computer science than traditional science subjects, such as life science and biology. Ashland High School teacher Chad McGowan led the workshop. He was introduced to Project GUTS through a MassCAN-sponsored training last year and has used it in an afterschool setting. He says that students like using code to create and explore scientific models, especially in ways that appeal to them. Although, he admits, this sometimes takes the form of building programs that predict the behavior of zombies.